Within the Guard Gated Enclave of Black Diamond Ranch it is Rare to Find such an Exceptional Estate Property Nestled into a 1.8+ Acre Lush Garden Oasis with truly Magnificent Old Oak Trees. 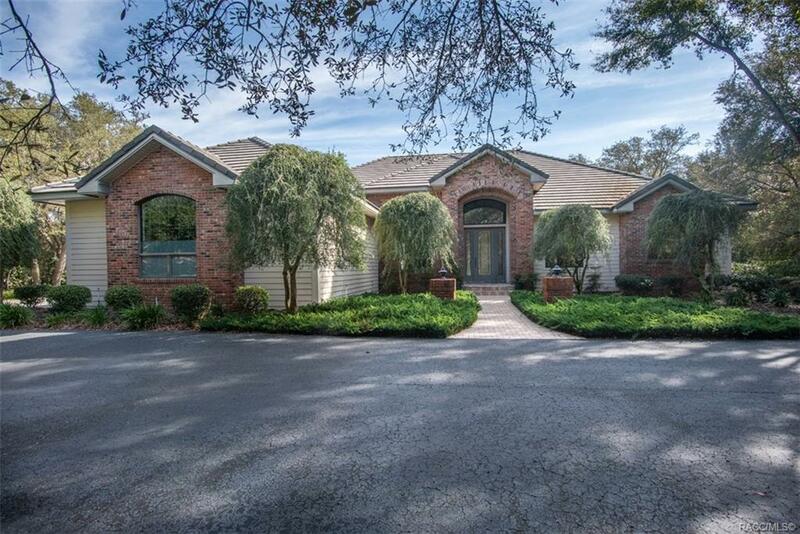 Meticulously Maintained by the Current Owner, This Residence features an expansive floor Plan with 4 - 5 Bedrooms including a Lion Size Master Suite with 3 Enormous Walk-In Closets, all with custom closet systems. Additional Highlights include: Formal Living and Dining Rooms; Kitchen, with Corian Countertops, opening into both the Great Room with it's Gorgeous Stone Gas Fireplace and the Breakfast Room with it's Seamless Window overlooking the Spacious Brick Paved Lanai. The Outdoor Spaces are Simply Outstanding with Heated Pool and Spa and Large Lanai area for Entertaining. Unique in Design, this Stunning Property Provides both Privacy and the Intrinsic Florida Laid back Lifestyle! Directions: From The Entrance To Black Diamond, Turn Right On W Black Diamond Circle (1st Right After Guard Gate), Right On Grayhawk Loop. House Will Be On The Right.